Deputy Prime Minister, Tan Sri Muhyiddin Yassin, the market talk is that PwC Malaysia will be picked to do the audit for the National Feedlot Corporation, NFC, soon. 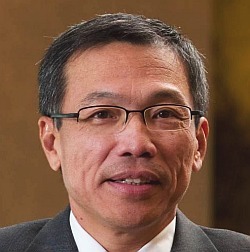 Tan Sri, can you imagine Chin Kwai Fatt, the MD of PwC Malaysia, and master of document fabrication, auditing Cowgate? Chin Kwai Fatt, an original member of the Malaysian 3 Idiots, to audit the NFC? Chin Kwai Fatt is now trapped by the fact that one of the documents he has fabricated in an ongoing Kuala Lumpur High Court case not only contradicts his own witness statement, but also the amended defense of all the defendants. Why is the Auditor General's report not enough for the truth about the NFC to be made public? Even if an external audit is needed, please pick a reputable audit firm to avoid the matter becoming worse. Can Tan Sri imagine the fallout when the auditors are exposed as bigger crooks than those they audit?